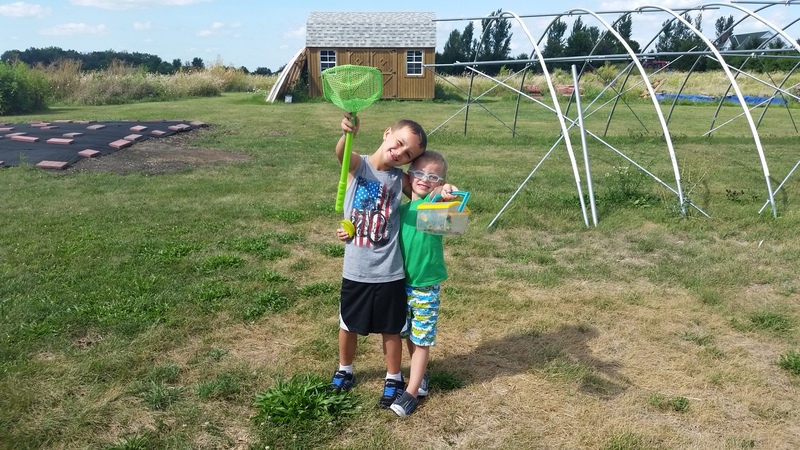 The boys have been hunting bugs (and bug friends) all summer. 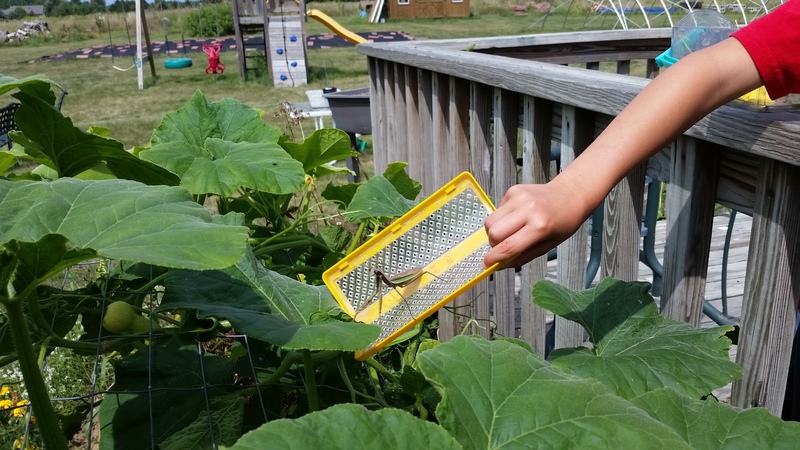 We’ve learned all about butterflies, studied earthworms and have had our fill of Japanese beetles and squash bugs. The boys never tire of taking their net out through the maze, vineyard, garden and fedge to catch whatever they can find. This weekend we found not one, not two but three LARGE praying mantis on our property. 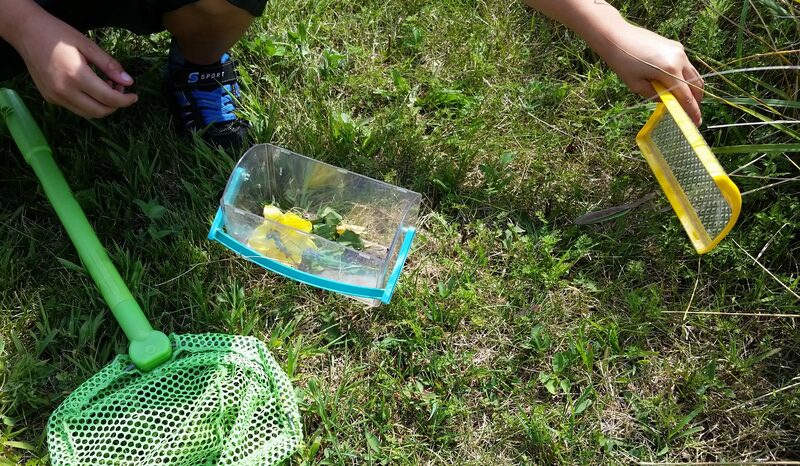 We were out catching butterflies when we found the first one. 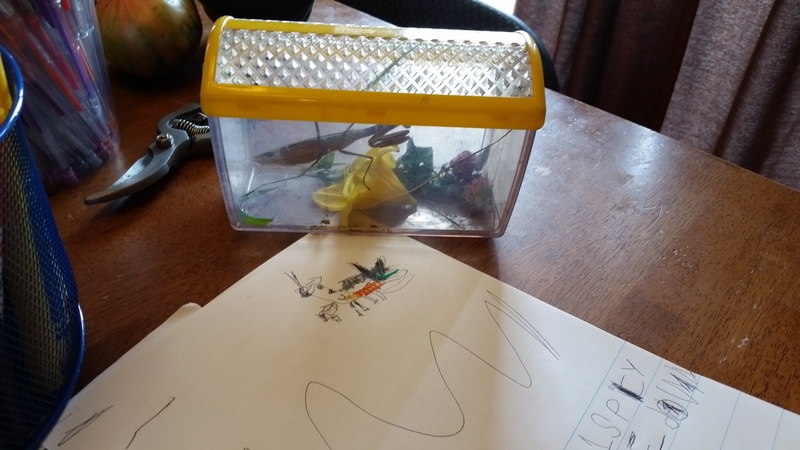 The boys captured it and brought it inside (in the bug house of course) to “study”. Joe drew a detailed picture of it while Jake and I looked up some fun facts. Once Joe was happy with his work, he decided to let it go in our kitchen garden so it could continue to hunt. Jake wanted to release it in the squash bed to “help Mommy”. 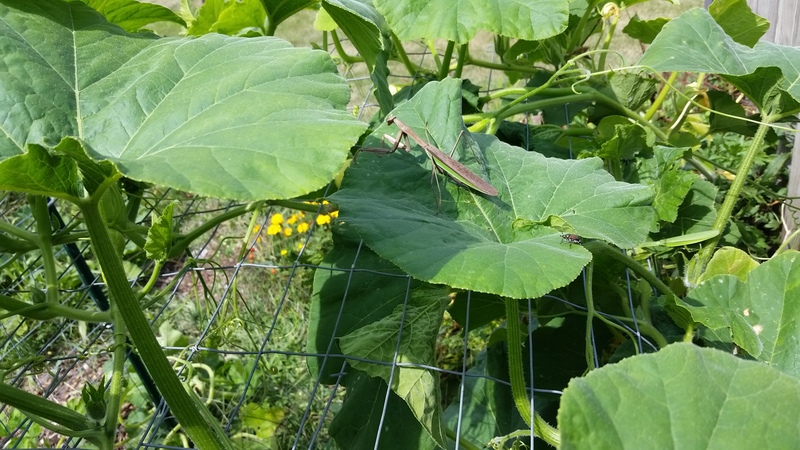 He’d heard me grumbling about the squash bugs. As we were releasing it…we found a second mantis. This one was bright green and sitting calmly on a large squash leaf. 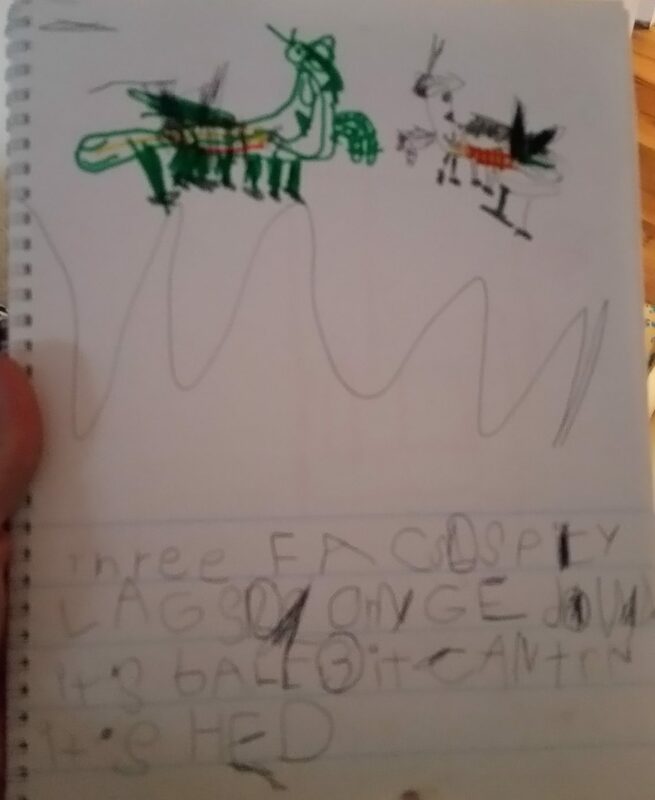 Joe added the green one to his drawing. Later, I asked Joe to turn the water to the hose on so I could fill the chickens’ buckets with fresh water and he found another mantis…this one even bigger than the last two. 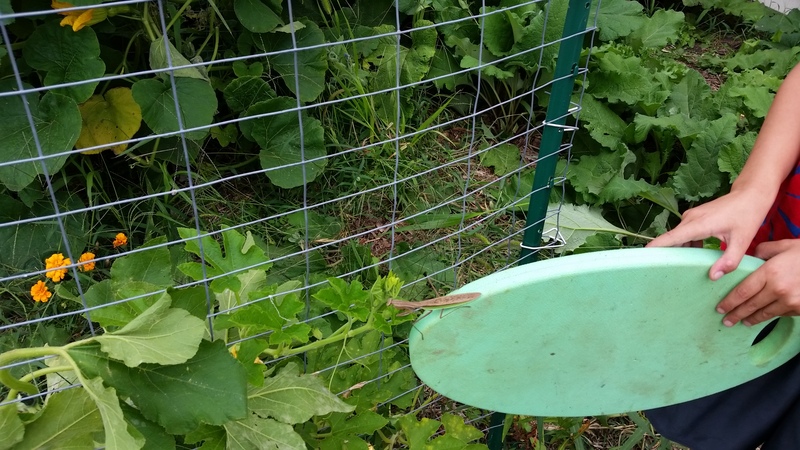 We snapped a few pictures and he released it in the squash patch. Now we have three teams, that we know of, working together to eradicate the homestead of squash bugs, Japanese beetles and other garden pests. One team in the squash patch, on in the rose patch and one out in the swales. This entry was posted in Garden Stories. Bookmark the permalink.